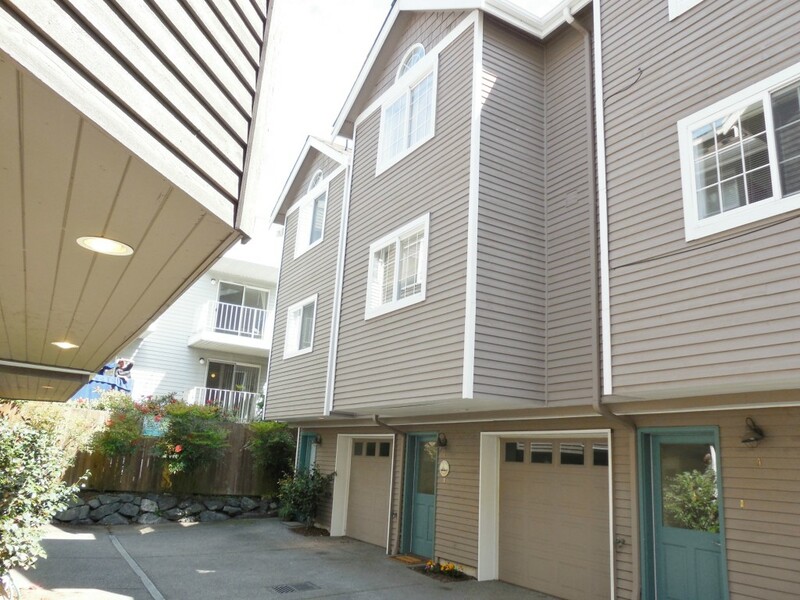 3 Bdrm, 3 bth Townhouse very well taken care of! Close to bus line, easy access to Seattle downtown. Lots of light to include skylights in Mstr Bdrm & in the "J&J" Mstr Bth/2nd Bdrm/washer/dryer top floor also. Main floor has hardwood flrs throughout. Kitchen counter tops are white tile w/wood trim, cabinets match wood trim. All white appliances. Door off living area to nice deck overlooks small back fenced yrd. 3rd Bdrm lower level. No H.0 dues!